PSR's Nissan Patrol GQ-GU drop boxes are now proudly Australian made! Features include a full CNC machined radius arm mounting lug plus full surface welding on all corners to make our drop boxes the strongest on the market while still being 100% bolt-in! 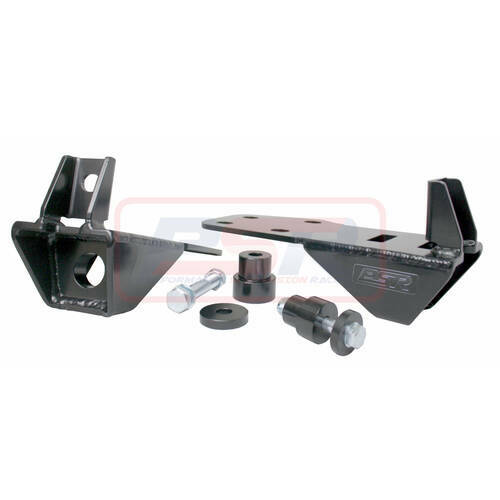 Other features include inbuilt wheel push of 10mm, chassis mounting boss Kit and required bolts with a super high clearance design of only 85mm without reducing strength to gain just a few mm of extra clearance like other brands. Powder-coated Black and supplied as a pair and again Australian made!